Australia is a wild and wonderful place, with many secret gems, adorable wildlife, and some of the best beaches in the world. Unlike other places, Australia’s luxury paradises are exclusive by virtue of their remoteness, special location, and limited number of guests at any one time. This all makes traveling down under the ultimate destination for luxury romantic getaways, complete with unforgettable views, experiences, and culinary exposure. Whether you’re looking to relax by a beach, swim with a whale shark or simply want to try something new and adventurous, chances are you will find in the land down under. 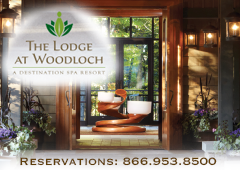 If you’re looking for a unique experience, but want the luxury and comfort of a resort, look no further than Longitude 131°. Part of the Baillie Lodges collection, it offers an immersion in the Australian Outback where you will get a true sense of stillness and beauty in a desert landscape while sleeping in luxury tented pavilions—it’s the ultimate glamping experience. Set facing the famous rust red monolith, Uluru, Longitude 131° is granted with the best views. 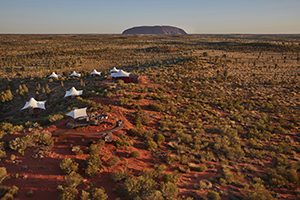 Each luxury tent is complete with custom Australian designed furniture, décor adopting the spirit of pioneers while paying homage to the indigenous, floor-to-ceiling windows yielding unparalleled views, and an expansive balcony with day bed, armchairs and fireplace, for chilly nights under a clear starry sky. For all food and beverage needs, the Dune House is stocked with the best of contemporary Australian cuisine, curated from the finest produce from all around the country. For a unique experience opt-in for Table 131, an exclusive four-course dinner under the stars, complete with resident astronomer and tales of the Southerly Constellations. Guests of Longitude 131° are treated to private experiences such as helicopter tours, walking tours, Segway tours and a private tour of Bruce Monro’s internationally acclaimed solar installation, Field of Light—50,000 bud-like stems sway as darkness descends over Australia’s spirited heartland, bringing to life a field of light. As far as luxurious getaways with a unique twist, it doesn’t get any better than glamping in the middle of Australia’s Outback. Info: longitude131.com.au. In a world where technology rules, take a well-needed break on a secluded island, in almost the middle of nowhere with only a few hundred people allowed at once and no cell reception. 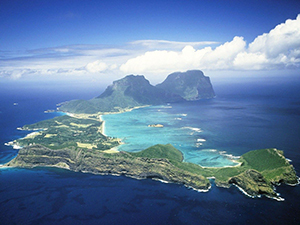 Celebrated as the pinnacle of luxury on World Heritage-listed Lord Howe Island, and the first of the Baillie Lodges collection, Capella Lodge rests atop Lover’s Bay at the foot of two imperious mountains. The premium boutique accommodation commands stunning views of the Pacific Ocean and offers guests a civilized, stylish and sophisticated escape on a treasure island with unparalleled beauty. 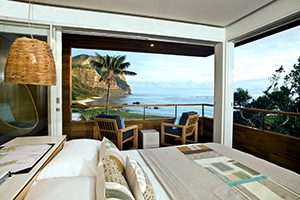 With only nine contemporary suites, Capella Lodge is exclusive and offers the best in opulence. All suites compliment the pristine natural surroundings, with spacious light filled interiors, timber floors, custom furniture pieces, and a healthy dose of technology, not that you’re going to need it with commanding views of a jewel-toned lagoon and green pastures, all from the comfort of your private spa. Along with breathtaking views, it holds a far-reaching reputation as a knockout dining destination, offering produce from the island and mainland Australia in a beach-house-styled Restaurant and Bar. Born from a volcanic eruption 7 million years ago, the island is home to the southernmost coral reef in the world, which offers amazing snorkeling and boat tours, along with hiking trails and a picturesque 9-hole golf course. If you were looking to relax and rejuvenate Capella Spa offers a signature menu of treatments embracing the island’s marine environment and endemic kentia palms. Simply put Capella Lodge is the perfect secluded escape you’ve been dreaming of. Info: lordhowe.com. If you haven’t heard of the Whitsundays then maybe you’ve seen the heart-shaped island pop up on your Instagram feed—and home to the World Heritage listed Great Barrier. There’s nothing more luxurious than an island getaway surrounded by some of the world’s most beautiful beaches at the world-class luxury resort, Qualia. Meaning a collection of deeper sensory experiences in Latin, Qualia is a unique Australian expression of comfort and design. Unwind in a waterfront pavilion surrounded by lush tropical bushland and postcard views. 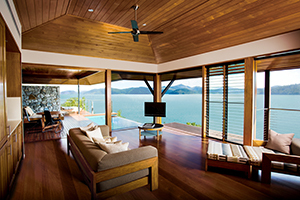 Inside, natural tones of timber, stone, and glass reflect the serenity of Whitsundays, providing sweeping views from every room. Venture out to one of the surrounding islands with private beaches, snorkel, golf, and sail or simply relax and unwind at the spa. After a long day, indulge in the fine cuisine which reflects the island’s bounty of produce and seafood. This is a truly special place to relax the mind. Info: qualia.com.au. 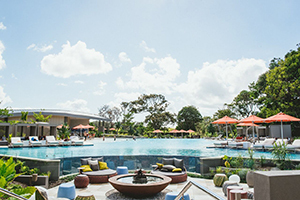 Discover coastal the beauty of Byron Bay, where locals symbolize an Australian haute-boho lifestyle, which is echoed through their award-winning beachfront resort, Elements of Byron. Featuring freestanding villas submerged in bushlands and designed to delight your inner boho-chic the resort is a perfect escape from the real world. Getting around is easy with complimentary golf cart services to take you from villa to the beach or main house where you can revel in an adults-only heated pool, with private cabanas, poolside lounges, and a swim-up bar. If you prefer the beach, Elements is the only resort with access to Belongil Beach, a vast and secluded stretch of sand—perfect for watching the sun rise. 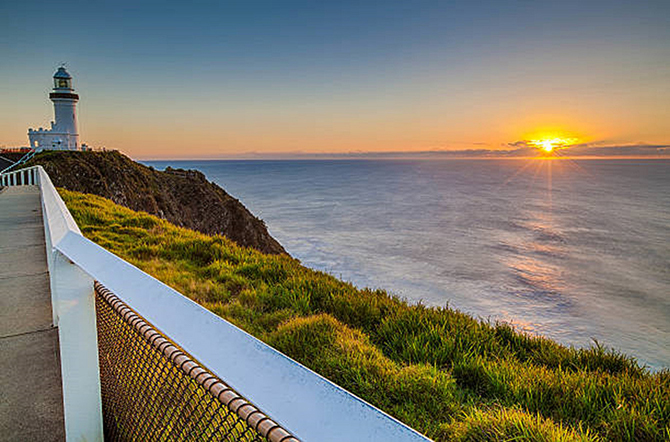 As a treat, Byron Bay is home to the world’s first solar-powered train, which you can catch and is only a minute walk from the resort. It will take you into town where you can explore boutique shops, restaurants, and hiking trails. From takeaway delivered to your villa to the Bar and Grill and poolside options, the resort boasts a diverse dining experience helmed by world-class chefs. 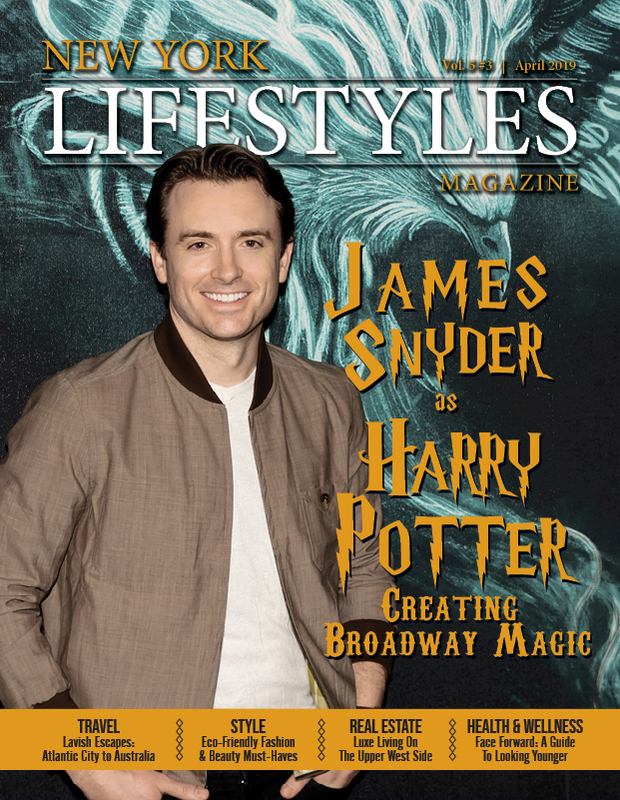 There are many reasons to visit Byron Bay, one of them being Chris Hemsworth lives there, the other—Elements of Byron. Info: elementsofbyron.com.au.